ALT dba LBT,CEBU Int Logistics Company was founded on May 16, 2005 . Our office is located at 675 Hegenberger Road Suite 201 Oakland CA 94621. LBT-Linares Brothers Transportation is our former DBA in the County of Alameda. 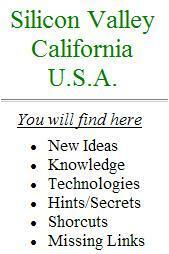 We operate all throughout the year in the great state of California . Basically, our product is service. We are a carrier of general commodities from anywhere in California to Port of Oakland and from Port of Oakland to anywhere in California . We also accept door to door delivery. The company have started from 1 power unit, and in just a year it have grown to 12 power units with more than 20 owner operators. Most steamship company in the port of Oakland are our partners. At present, we have more than twenty regular customers. We are guided by the belief that "smart people learn from the mistake of others". With our direct and customer service oriented approach, we believe that our system will bring less error and guaranteed customer satisfaction... We make every effort to ensure that our customer is satisfied with our service.